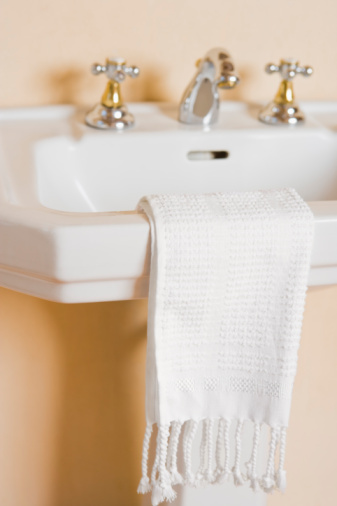 A home catastrophe can be averted by installing the right shower drain for the type of shower you have. The wrong drain can leak, allowing mold to grow underneath the shower. The material and construction of the shower can help you to select the right drain. 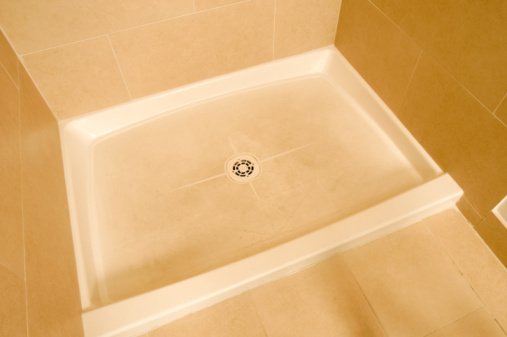 The subfloor under the shower can help you choose a drain. The drain you select for your shower should be based on the construction of unit's floor. There are three main types of showers. Tiled showers on wood floors require a different drain than those on concrete floors. One-piece showers or premolded shower bases need another type of drain. 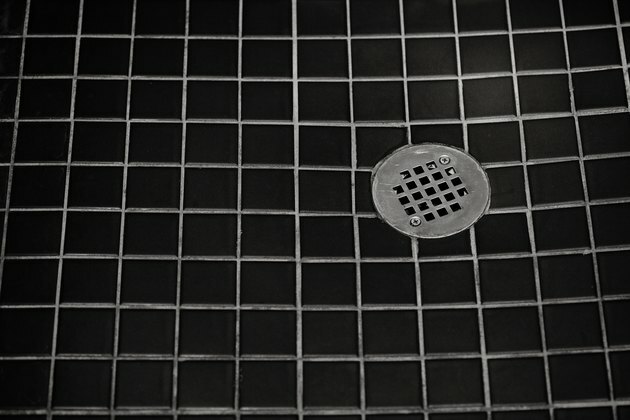 Consider the type of shower you are installing first before choosing the drain you need. If you are unsure of the drain installation, consult a plumber. Without tight seals and proper installation, your shower drain could cost you more than the price of a plumber. Multipiece shower drains are the most complex type, but they are used with the simplest shower stalls, such as a one-piece shower stall or those with a premolded base. From the top of the drain to the bottom, these drains consist of: a strainer, a brass locking ring, a rubber compression gasket, the flange, the threaded drain body, a rubber gasket or washer and a tightening nut. The parts from the strainer to the flange fit above the floor of the shower stall. The rest of the parts are under the shower and should be installed first before sliding the shower or base into place. A three-piece shower drain can be used also as a floor drain because the construction is the same. These drains fit a tiled shower to a shower pan underneath to protect a wooden subfloor from becoming moldy or rotting. The three parts allow for adjustments based on the thickness of the tile on the shower floor. The top portion screws into the middle part of the drain, which is screwed into the shower pan and the pipe socket in the lower part of the drain. Only a professional should install a three-piece shower drain, because an amateur might not properly seal all the parts of the drain, resulting in costly damage to the subfloor from leaks. The simplest drain installation is for the single-piece drain. These are used with tiled shower bases installed over a concrete subfloor. Unlike wood, if concrete gets wet from leaks, it won't be damaged. One-piece drains consist of a strainer screwed into the recessed area of a pipe socket. The drain pipe fits into the socket and the strainer is attached to the top with screws. Do I Need to Seal or Caulk a Bathtub Drain?